The EC said there have been delays in the delivery of paper trail machines as the Technical Experts Committee appointed by it analyses the technology stabilisation issues in the initial batches. NEW DELHI: The nearly 23.25 lakh EVMs and 16.15 lakh paper trail machines needed for conducting the 2019 Lok Sabha elections will be delivered by the end of this year, the Election Commission said today. Though at the same time, the EC said there have been delays in the delivery of paper trail machines as the Technical Experts Committee appointed by it analyses the technology stabilisation issues in the initial batches and incorporates essential design improvements. While all required EVMs -- 13.95 lakh ballot units and 9.3 lakh control units -- will be delivered by September 30, VVPATs will also be delivered well before the end of November. The Commission's statement came in response to a news report based on an RTI reply which said that "as on June 19 this year, almost 14 months after the EC placed orders for 16.15 lakh VVPATs with BEL and ECIL, the poll panel had received 3.48 lakh units - in other words, meeting only 22 per cent of the target three months before the deadline." The report had suggested that if the 2019 polls are advanced, then there would not be enough paper trail machines to cover all polling stations. 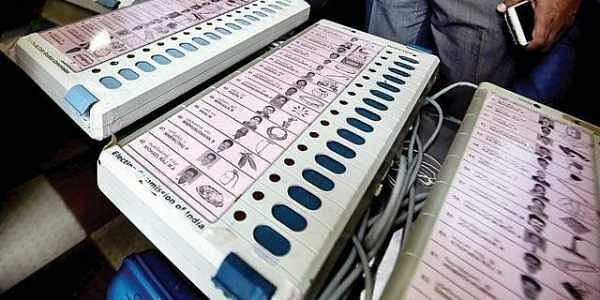 The EC said it had placed an order of 16.15 lakh VVPATs (voter-verifiable paper audit trail machines) to be produced by the PSU manufacturers -- Bharat Electronics Limited, Bengaluru and Electronics Corporation of India Ltd, Hyderabad in May 2017 to ensure that all polling stations have these machines in the 2019 Lok Sabha polls. "Till date, 5.88 lakh units have been produced by the PSUs (4.36 lakh by BEL and 1.52 lakh by ECIL), which is 36 per cent of the total quantity to be supplied. Both the PSUs have assured the Commission that the remaining VVPAT units (10.27 lakh) will be manufactured and supplied to the various States/UTs before the end of November 2018," the EC said.